Char B1 production started in 1935 and despite its associations with the disastrous 1940 campaign and the defeat of the French army, the tank was in fact of advanced design. The B1’s main problem was the poor distribution of crew with a one-man turret which left the commander the tasks of giving orders, watching his own and enemy units, as well as loading and fire the gun. 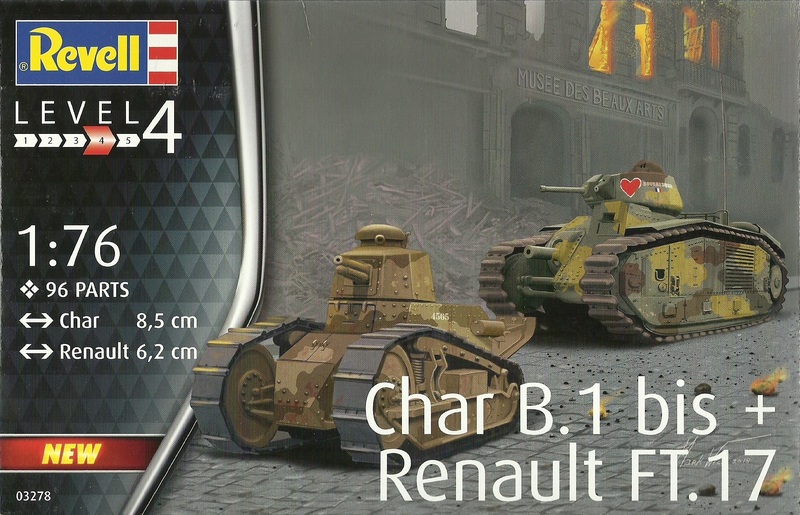 A nice little kit of the Renault FT-17 with the option of the larger armament of the 37mm gun or the 8mm Hotchkiss MG.